It looks like you are looking for something that has moved. That is frustrating. Hopefully, some of these resources & freebies will make up for it. Stick around and check out some of these awesome photography tips! I love hearing what type of gear photographers use. I break it all down for you. Learn which lenses I have, when I use them and see examples of what each lens is able to produce. Plus, some photography extras like tripod recommendations and more. Got a New Camera, Now What? Check out 6 of our popular posts that are perfect for the beginning photographer. If Lightroom confuses you, fear no longer. Read some of our basic editing tips. Are you looking for a stylish and comfortable camera strap? Check out Abie Straps. They are beautiful plus all the proceeds go to charity, Mercy Ships. Use the follow code to get a discount. 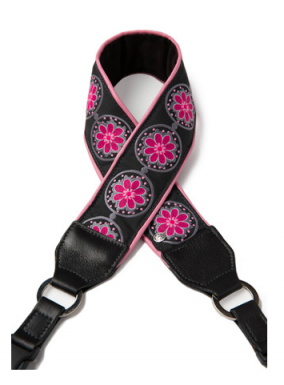 These straps make the perfect gift for someone you know or yourself. It’s time to get your blog organized and this blog planner will definitely help you do just that. This planner includes areas for you to jot down blog ideas, title ideas, goals, and even has an editorial calendar. One of my favorite features is where you can keep track of all your social media and blog stats. It’s important to see what works and what doesn’t as you grow your business. Also, the daily to-do page with an area for you to plan out what you are going to share on social media is great. Learn to improve your photography in one week with this free ebook. -Tip for finding the light in your house. -My favorite way to add variety to your images. -How to use your own images to improve. -What to look for when studying someone else’s work.